H+K’s Global Vice Chairman and Asia-Pacific Chairman, Vivian Lines, has been honoured with the Outstanding Individual Achievement SABRE Award at the Asia-Pacific SABRE Awards, celebrating his successful career and leadership within the public relations industry. Viv is one of H+K’s longest standing employees with 34 years under his belt: from London to the Middle East, and now 25 years in Asia, taking on regional leadership in 2004, and adding the Global Vice Chair position in 2011. 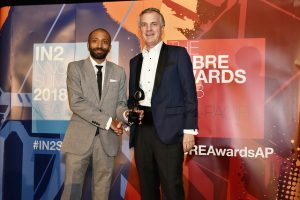 The SABRE Awards are one of the most prestigious awards in the communications industry, rewarding campaigns and agencies from across the Asia-Pacific Region. This year’s ceremony took place on 11th September at the Mandarin Oriental Hotel in Singapore.